Let’s talk about Ergonomics Gaming and streaming on Twitch. I found one really good YouTube video guide from a streamer i like to watch quite a lot! Gabbie is an awesome streamer and content creator. i noticed that she had a wrist support for awhile. Didn’t know the cause of it before the video though. I have also had some wrist injuries when i got my massage degree (Yes, yes i’m a trained massage therapist that has a degree in the field and two years of work on that field) everyone lols at it! 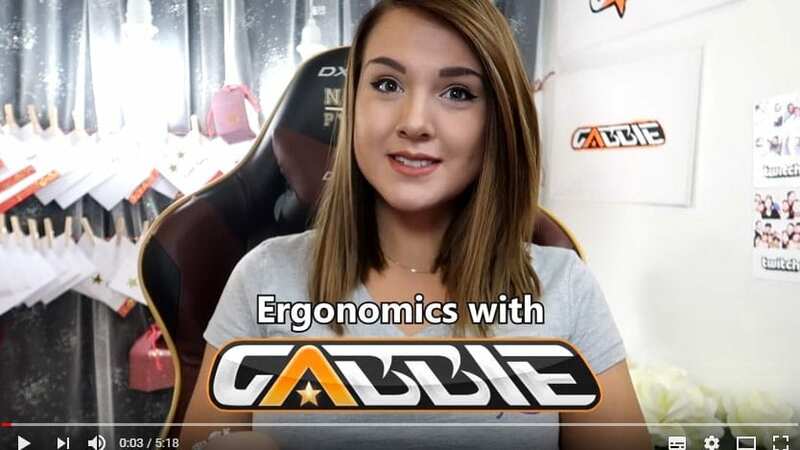 😀 But the wrist problem is pretty painful if you get it so here is Gabbies tips to help you on your streaming career! Hi guys, Not too long ago I injured my wrist from gaming. As streaming became my job and I put more and more hours into it, I also put too much pressure on my wrist. This eventually lead to me straining the wrist and I had to make some large changes to my gaming routine in order to heal the wrist. I want to give a big thank you to Teknikmagasinet, who is my partner since almost two years back. When I realized where the injury came from, I asked Teknikmagasinet for the possibility of changing my peripheral gear: keyboard and mouse along with adding a wrist support. Thanks to them I was able to properly heal and avoid getting another strain on the wrist. And here I am, feeling much better in the wrist and having done major changes to how I game.